If you’ve absorbed the sounds, sights and scents of nature during a walk in the woods and emerged feeling calmer and more focused, you have dabbled in a wellness trend — forest bathing. Developed in Japan during the 1980s, Shinrin-yoku, or forest bathing, has gained popularity in the U.S. over the last couple of years. It’s simple and inexpensive — take a leisurely two to three-hour walk underneath a canopy of trees while soaking up nature in a kind of moving meditation. According to ANFT, forest bathing participants can experience lower blood pressure, improved mood, boosted energy, reduced stress, improved sleep, and accelerated recovery from illness or surgery. “Slowing down and getting in touch with nature can be extremely therapeutic,” said Fendya, who is offering forest bathing walks the second Saturday of the month through the Jung Center. 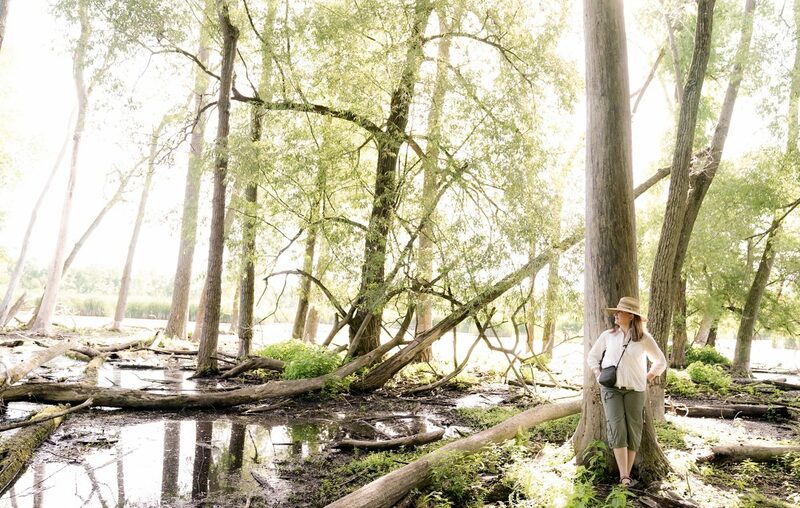 She plans to offer more walks soon in a variety of spots which may include Olmsted parks, Tifft Nature Preserve, the WNY Nature Conservancy’s Deer Lick and the Burchfield Penney Nature Center. Reinstein Woods recently began offering Intro to Forest Bathing walks on a quarterly basis. Rather than the longer walks led by certified forest therapy guides, environmental educators lead participants in shorter walks while giving them an overview of the practice and tips on how to enjoy it on their own. These differ from traditional nature walks in that no one is rattling off facts about the flora and fauna along the trails. Rather, participants are encouraged to quietly immerse themselves in nature and be in the moment, said Reinstein Woods environmental educator Mary Ronan.